Tobacco growing on the La Canela farm in the Dominican Republic. About 110 acres of Piloto Cubano are growing in the fields of the La Canela farm in the Dominican Republic. The small tobacco plants were put into the ground three weeks ago, all of which are intended to be used as filler. “The Piloto was designed, planted and cultivated to be filler tobacco,” said Litto Gomez, farm owner and maker of La Flor Dominicana cigars. The first harvest will be in 50 days, and, according to Gomez, the La Canela farm produces 1,200 pounds of tobacco per acre, or in this case, 132,000 pounds of Piloto. In December, Gomez will start growing wrapper tobacco on different parts of his farm using different seed varietals. For wrapper leaf, Gomez intends to plant 40 acres of Criollo ’98 and 40 acres of Havana 2000. Unlike the sun-grown filler tobacco, his wrappers are grown under shade to filter out the sun’s rays, which will result in thinner, finer leaves required for wrapper-grade tobacco. Gomez also intends to grow 40 acres of Pelo d’Oro in December as well, but this will be for filler, not wrapper. In total, the La Canela farm is 240 acres. 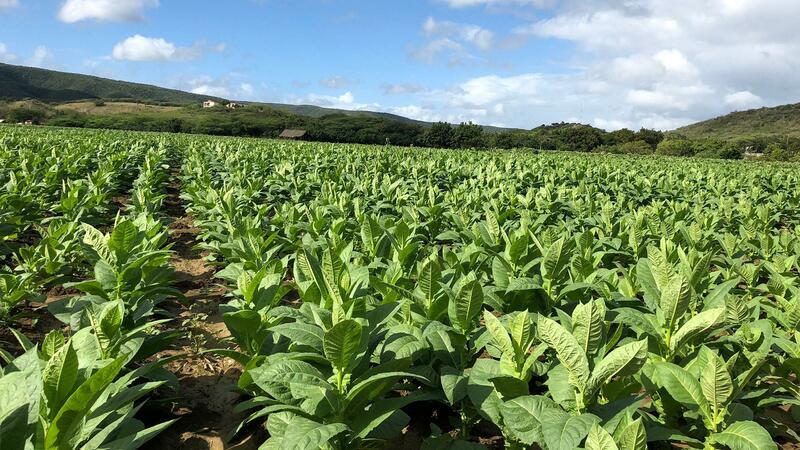 The original 100 acres is owned in partnership with tobacco grower José “Jochy” Blanco, who also owns the Tabacalera Palma factory in the Dominican Republic. The farm’s first harvest was in 1997. Since then, Gomez has expanded, and owns the additional 140 acres without Blanco. Tobacco grown on La Canela goes into almost every cigar that Gomez makes, including La Flor Dominicana Double Ligero, La Volcada and the Andalusian Bull, which was Cigar Aficionado’s No. 1 cigar of 2016. The climate is dry and hot in La Canela, and the soil rich in nitrogen and micronutrients, making Gomez’s tobacco stronger and more concentrated than tobacco grown in other parts of the Dominican Republic.